Alexis Tsipras was born in Athens in 1974. He is a Civil Engineer who graduated from the National Technical University of Athens. He holds a Postgraduate degree in Urban Planning and Spatial Planning from the same University. Alexis Tsipras was elected Secretary of the Central Council of the Youth of Synaspismos in 1999 and he stayed in position until 2003. In 2006, he was elected in the municipal council of the City of Athens as head of the“Open City” group. At the 5th Congress of Synaspismos party (Coalition of the Left, the Movements and Ecology). In 2008, he was elected party chairman. He was re-elected in office at the 6th Congress in June 2010. 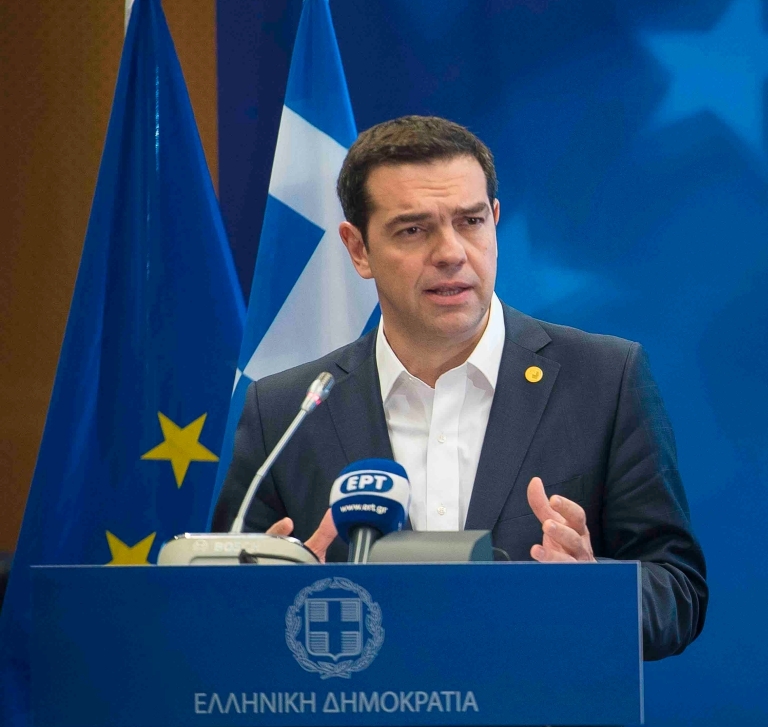 He was elected President of SYRIZA (Radical Left Coalition) at the Party’s Founding Conference in July 2013 and he received a renewed mandate at the 2nd Congress in October 2016. From December 2012 to December 2015, he served as the Vice-Chairman of the European Left Party and run as its candidate for the presidency of the European Union Commission, leading the European Parliament elections in 2014. He was first elected Member of the Greek Parliament, representing the district of Athens and assumed President of the SYRIZA Parliamentary Group, in the national elections of October 2009. From July 2012 to December 2014, he served as Chief of the Parliamentary Opposition. In the elections of January 25, 2015 he was elected again MP, this time representing the district of Heraklion, Crete. Ηe was sworn in as Prime Minister of the Hellenic Republic, οn January 26, 2015, a post he was re-appointed on September 21st of the same year.